Ever get the feeling your energy dollars are going through the roof? You might be exactly right! By installing attic insulation, you can cut your heating and cooling costs by as much as half. Start here. Looking to put a dent in your monthly heating and cooling bills? The answer may be right over your head. If your attic isn’t insulated, you’re missing out on a prime opportunity to cut costs. No matter what type of insulation you end up using, start the job by preparing the work area. That includes clipping portable lights onto rafters, so you can see what you’re doing. Also, if there’s no flooring in the attic, lay down sheets of plywood for a solid platform to work from. Now’s also an optimal time to check the attic for any signs of discoloration or mold; either might signal a roof leak. While you’re at it, use weatherstripping or expanding foam to seal up any air leaks around chimneys, plumbing stacks, exhaust fans or anywhere you suspect outside air might be getting through. 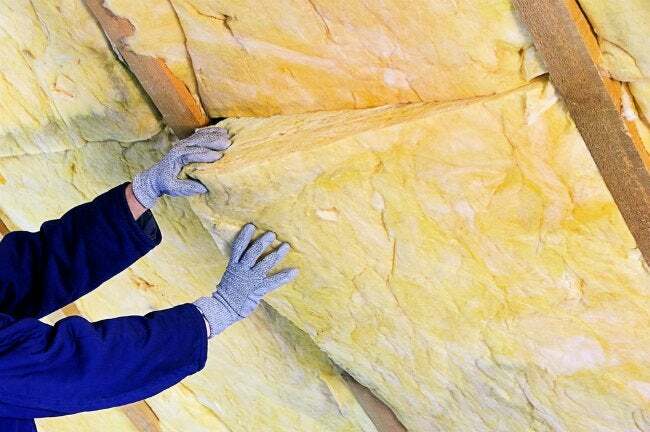 Attic insulation can literally cut your heating and cooling bills by as much as half. So whether you hire a contractor or do it yourself, your wallet will thank you.